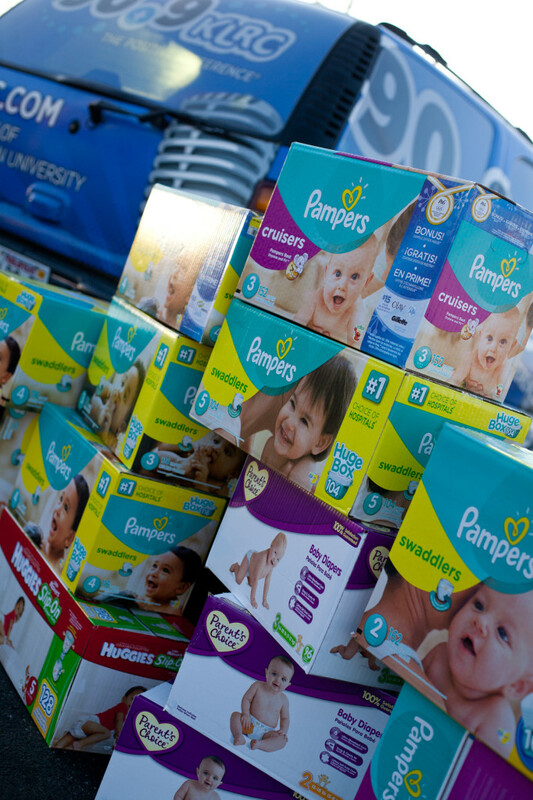 Listeners of 90.9 KLRC FM donated over 26,000 diapers to Loving Choices Pregnancy Center as part of KLRC’s annual diaper drive. The supply of diapers collected during the one-day drive held at area Chick-Fil-A restaurants provided enough diapers to supply Loving Choices with diapers for nearly six month. Clients of Loving Choices have the opportunity to earn Mommy Bucks by participating in the Earn While You Learn program. Mommy bucks may be spent at the Mommy Boutique on items such as baby clothes, diapers, maternity clothes, car seats, strollers and cribs. 90.9 FM KLRC is a non-profit, listener-supported, radio station located in Siloam Springs. KLRC broadcasts in Northwest Arkansas at 90.9 FM, 101.1 FM, 103.5 FM in Springdale, 99.1 FM in Bentonville and worldwide at www.KLRC.com. KLRC was named Religious Station of the Year at the 2013 National Association of Broadcasters’ Marconi Radio Awards. Celebrate Magazine named KLRC Northwest Arkansas’s “Very Best” radio station and Citiscapes Magazine named KLRC Best Local Radio Station. KLRC is a ministry of John Brown University.